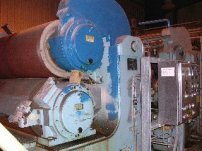 Pulpmill.com specializes in the sale of pulp mill equipment. Please contact us with regards to pulp mills, pulp machines, wet lap machines, digesters, washers or related equipment which you would like to buy or sell. Also be sure to visit Papermill.com for up to date paper making equipment.